Gov. Steve Sisolak is calling for a ban on private prisons and a $12-per-hour minimum wage, staking out a series of liberal policy positions amid the relatively moderate agenda he has mapped out for his first term as governor. 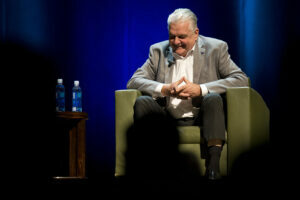 Sisolak reiterated his support for expunging marijuana-related offenses from criminal records, defended a proposal to allow state workers to collectively bargain and indicated that a fix to the state’s stalled ballot initiative on background checks for guns is imminent at an “IndyTalks” event Tuesday night at The Smith Center in Las Vegas. But he also defended his position as a business-friendly moderate — bolstered by his declaration during last week’s State of the State address that he wouldn’t raise taxes — by arguing that the cancelation of a proposed reduction in the payroll tax rate worth $48 million a year was not a tax increase. The governor’s comments shed light on what policy proposals will be at the fore during the upcoming legislative session and hint at whether more moderate or liberal policy proposals will define the next four years of the Sisolak administration. Asked to place himself on a spectrum between the progressive Rep. Alexandria Ocasio-Cortez and the moderate U.S. Sen. Joe Manchin of West Virginia, Sisolak demurred. At the event, Sisolak indicated that long-awaited gun background checks could become a reality near the beginning of the legislative session, which starts Feb. 4. The governor said he was in a “sensitive stage” of discussions about the matter but noted he has been working with the state attorney general’s office and his legal counsel to implement the voter-approved measure. The initiative, which would make the vast majority of private party gun sales or transfers subject to background checks, has been stalled since its passage in 2016. The enforcement of background checks would mark a major change from former Gov. Brian Sandoval’s administration. But it doesn’t necessarily foretell a drastic deviation from his predecessor’s roadmap. Sisolak said he considers Sandoval a friend and acknowledged that he plans to continue some of his policies. From health care to education and everything in between, here’s what Sisolak talked about Tuesday night. Sisolak signaled that he wants to ban private prisons, a proposal that his predecessor vetoed during the last legislative session. In his veto message, Sandoval said the legislation encroached on the ability of the Department of Corrections to use private prisons in the event of overcrowding or other issues. Sisolak did not elaborate on his support for a private prisons ban, saying only “I do” when asked whether banning private prisons is a good idea. He also reiterated several other criminal justice reform priorities he touted during the campaign, including expunging convictions for marijuana-related offenses, ending cash bail and expanding to private businesses a “ban the box” law that prevents public sector employers from asking about an applicant’s criminal history until they’ve made a conditional job offer. “I’m opposed to the death penalty,” Sisolak said Tuesday night. Sisolak has proposed axing a proposed reduction in the payroll tax rate, which is expected to bring in about $48 million in each year of the two-year budget cycle. Under the tax increase package approved by lawmakers in 2015, if revenue from the Modified Business Tax (payroll tax), Commerce Tax (levy on larger businesses) and an excise tax on banks exceeded projections from the state’s Economic Forum by 4 percent, the payroll tax rate was supposed to automatically decrease. Sisolak said that he doesn’t believe that any businesses are relying on the sunset of the tax to keep their doors open and framed his proposal as a choice between reducing the payroll tax rate or sacrificing care for seniors, those with mental health issues and children. He also framed his decision to delay a plan to start sending all tax revenue from the vehicle registration tax into the state’s Highway Fund starting in 2019 as the “continuation of the redistribution of a current tax.” The change is estimated to keep $21 million per year in the state’s main budget account. Sisolak made public education a hallmark of his gubernatorial campaign and continued the theme during his State of the State address, during which he announced a 3 percent pay raise for educators. He reiterated the importance of that plan Tuesday night. The state can’t force school districts to put extra money toward salaries, but Sisolak said he has told superintendents it should not be allocated for other purposes — in other words, a bit of gubernatorial pressure. Sisolak also affirmed his commitment to moving toward a weighted funding formula, which lets per-pupil dollars follow students based on their needs. The governor said he doesn’t want to rely as much on categorical funding — such as Zoom Schools or Victory Schools, which grant extra money to schools with larger populations of English language learners or students from low-income families — going forward. He said it’s not an “unraveling” of Sandoval’s signature education reforms but rather a reallocation of how state dollars reach students inside the classroom. Sisolak offered skepticism of at least one Sandoval-era K-12 program — Read by Grade 3. The program aims to ensure students are reading proficiently by the end of third grade. Students who aren’t reading at that grade level could be held back. Sisolak said the retention aspect will be tough for both teachers and students. The governor applied similar pragmatism to the school safety issue, saying the marijuana tax won’t be enough to cover all the security enhancements needed. But he also noted local jurisdictions won’t have the funding capacity to accomplish it all at once, either. 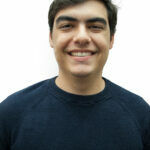 The state, he said, needs to take a more proactive approach by helping students on the front end. Sisolak also explained why he didn’t include Sandoval’s proposed expansion of the need-based Opportunity Scholarship program in his budget. The governor described Opportunity Scholarships as a “complicated form of an ESA” — a nod to the controversial voucher-style program Republicans have tried to launch in Nevada. “I would rather invest that extra $20 million into our public education system,” he said. He didn’t delve too heavily into other funding specifics for education but did note his logic for making it a priority. Sisolak had said previously that it was “impossible” for a family to live on the current minimum wage of $7.25 per hour, the federal minimum. But in a debate against Democratic primary opponent Chris Giunchigliani last May, Sisolak said he would look for a raise to just $10 per hour, cautioning against the possible downward pressure on small businesses. In Nevada, the $7.25 minimum only applies to employers who provide health insurance, however, and employers who don’t instead pay a rate of $8.25 per hour. Democratic lawmakers wrote two bills during the 2017 legislative session that aimed to raise the minimum wage, ultimately settling on a Senate effort to bump the wage to $12 per hour over five years. That bill was eventually vetoed by Republican Gov. Brian Sandoval, alongside an effort by Assembly Democrats to establish a minimum level of health benefits required for employers to qualify for the $7.25 per hour minimum. Democrats also passed a separate minimum wage increase, this time to $14 per hour, but as an amendment to the Nevada constitution, meaning it would require passage again during the 2019 session and a successful popular vote in the 2020 general election. The new governor touched on a number of health care-related items Tuesday night, including his thoughts on a Medicaid-for-all proposal, drug transparency legislation and mental health. The governor also said that he wants to rein in the pharmaceutical companies, touting his plan to create “Silver State Scripts,” a drug purchasing coalition that would align the state’s large public health plans such as Medicaid and the Public Employees Benefit Program to negotiate for lower priced drugs. He said that pharmaceutical companies may be more willing to participate in conversations given that they’ve become a target. He also said that the state needs to continue to invest in mental health, including bringing more mental health professionals to the state and ensuring a supply of in-patient beds. Sisolak was mum on specifics but said that he is working with the attorney general’s office to roll out a plan that would allow the state to finally enforce the long-stalled ballot initiative passed in 2016 requiring universal background checks on gun sales and transfers. Sisolak didn’t back down from supporting collective bargaining rights for state workers, which he announced during his State of the State address. He didn’t directly say how the state would fund such a potentially massive cost. “We’re going to have to find the resources in order to make those accommodations,” he said. Sisolak framed the Cannabis Compliance Board — the creation of which he announced during his State of the State address last week but had offered few details about — as the state’s Gaming Control Board but for marijuana. He said that he plans to sign an executive order this week establishing a task force that will establish the parameters of the board. He expressed frustration over the lack of transparency in the marijuana licensing process, highlighted recently by the fact that the Nevada Department of Taxation wouldn’t disclose the names of marijuana dispensary license applicants without their permission. Sisolak said he ”absolutely” believes the information about how marijuana licenses are awarded should be made public. He also suggested that the board would be able to tackle broad marijuana policy issues, including banking and consumption lounges. Sisolak — a former regent for the Nevada System of Higher education for 10 years — said he would look to invest in more career and technical training at the community college level. Just 23 percent of Nevadans have at least a bachelor’s degree, according to the U.S. Census Bureau’s American Community Survey, worse than all but five other states and seven points below the national average. “Students need to know that that option is available to them,” he said. Sisolak, who as a regent long feuded with Northern Nevada education officials over funding differences between North and South, also spoke about why his budget recommended funding for new college buildings in Clark County over schools in the north. Though he praised the work of former UNR president Joe Crowley and former Assembly Speaker Joe Dini, he said the state money was going where it was most needed. Sisolak chose his words carefully when talking about his proposed Governor’s Office for New Americans. He wants the center to provide services to immigrants but repeatedly dodged direct questions about whether that extends to undocumented immigrants as well. But his answer to one final question — whether well-known DREAMer Astrid Silva would be welcome at the center — provided a bit more clarity. Sisolak said that he’s not sure whether it’s the government’s place to intervene in the payday loan industry, which some have condemned for its high interest rates. Advocates are working to build a broader coalition to tackle payday loan legislation this session after efforts in 2017 failed. “Sometimes people need to access money and they can’t get it from a bank and I don’t know what the alternative is, frankly,” Sisolak said. Sisolak signaled a possible change in direction for economic development. He applauded the Governor’s Office of Economic Development, or GOED, for attracting big-name companies like Tesla to the state, but he said it has caused some “unintended consequences,” such as sky-high housing prices in Northern Nevada. Sisolak said another “one or two weeks” of early voting could provide greater access to those eligible to participate in the democratic process. This story has been updated to correct a quote.